C++ is one of the most popular and powerful object-oriented programming languages and if you want to do low-level stuff then it's the best language to start with. Most of the complex software e.g. Operating Systems, Database Management Systems, and Powerful trading systems are written in C++. While many of us have learned to program by using C and C++, let me honest with you learning C++ is challenging. There are many areas which are tough to grasp e.g. points but you will learn them slowly and that's where these free C++ course will help you. There is no doubt that learning C++ will open several opportunities for you. There is a huge demand for good C++ developers, especially in the area of high-frequency trading where every microsecond matters. C++ is the language which provides best of both world, it allows you to use OOP to manage the complexity of software but at the same time, it also allows you to get close to your machine and access all of your computer's hardware, which is not easily possible for other object-oriented languages like Java or Python. That's the reason C++ is heavily used for writing native device drivers, high-end desktop games and complex artificial intelligence programs where you need high performance. In this article, I am going to share with you some of the best courses to learn C++ online at your own time and place and free of cost. You can use these courses if you are starting with programming or you have some experience in coding but not familiar with C++. I love learning new technologies and programming language because they expand your knowledge, give a boost to your resume and set you apart from your competition, but learning a new programming language is not easy. It takes time, practice and dedication to learn new stuff. Though you can easily learn new things by following my 3 points formula, which I have used to learn several new things e.g. Kotlin, Docker, Maven, JUnit, Angular, ReactJS in last a couple of years. It's practical and works well. The first point is to join an online course, free or paid, to start with a new programming language. Once you get hold of basic stuff and understand the vocabulary of the technology, you can start with the 2nd point, which is reading a book. This is also optional, if you join a good course then you can start writing code immediately but if you want to learn things in depth, choosing a right book is the best way forward. In general, a book contains more information than online courses and also written by the authority on the subject matters. For C++, you can see my list of books here. After that, you should build a project, that's the most important step where you use all the knowledge you have learned. At the step, you go back and forth to the course and book to repeat and refer, which consolidates your learning. If you follow these three steps then you can easily learn a new programming language, library, framework or new stuff quickly. Anyway, here is my list of free C++ courses to learn programming. This is an awesome course to learn C++ and you can get this on Udemy for free of cost. This course teaches you the powerful, fast and popular C++ programming language from scratch, assuming only basic computer knowledge. You will start with setting up your development environment and then learn the basic syntax and building blocks of programming. Slowly, you will move into object-oriented coding and learn things like Inheritance, Abstraction, Encapsulation etc. After this, you will learn about more advanced concepts like Pointers and Memory management. At the end of the course, you'll also learn how to create a beautiful "particle fire" program, including a smattering of the basic principles of game development. In short, one of the better course to start with C++ programming. Learning C++ is challenging but if you stick with the course and maintain patience and persistence then nothing can stop you from succeeding. 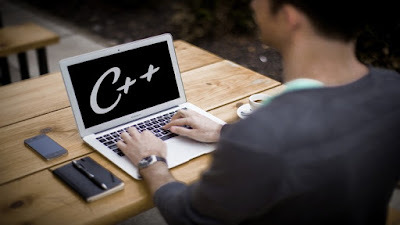 This is another great free course to learn C++ on Udemy. In this course, you will learn by doing stuff and building skills one level at a time. The course starts with teaching you how to make your computer ready to write a program in C++ using Visual Studio, the most popular IDE for writing C++ programs. After that, you will learn writing HelloWorld program and to deal with input and output i.e. writing programs to take input from the user and show the output on the console. You will also learn to create several application to explore different concepts e.g. create an application that manipulates strings, does automatic and writing a chatbot. In short, a great course for beginners or a nice refresher for anyone who has not used C++ in a while. This free C++ course is for beginners who want to learn programming in C++, taught by Jeremy Siek, a professor at the University of Colorado. This is a two-part course which is based on the excellent textbook Accelerated C++ by Andrew Koenig and Barbara E. Moo. Part 1 covers the first seven chapters of Accelerated C++, in particular, Chapters 0 through 6 and part 2 of the course covers the second half of Accelerated C++, including how to write your own classes and generic functions. Similar to the textbook, the course quickly dives into problem-solving and making use of the C++ standard library, including strings, vectors, and lists. In short one of the practical course to learn C++ where the emphasis is on teaching you the parts of C++ that you will most likely need in your day-to-day programming. This is one more free C++ course from Udemy which teaches you how to code C++ on Windows. This course provides a quick overview and an introduction of C++ to anyone interested in learning building Windows Applications and Programming Windows API using C/C++. In this course, you will learn how Windows applications work? how painting works on Windows, and how to utilize it for your apps by building a complete tic-tac-toe game. You will also learn how to add menus, messages and how to draw your application with GDI. 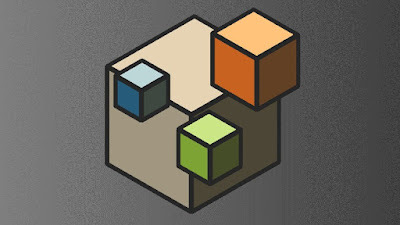 In short, a great course to learn Windows programming with C++. This is one more free C++ course from Udemy which teaches you basics of C++ templates. If you don't know, C++ templates are used for creating high-performance algorithms and classes. Most of the high-performance libraries, such as Active Template Library, Windows Template Library etc, have been implemented through C++ templates. Templates are a challenge for any novice C++ programmer. But, this course will help you understand the syntax of templates. It gently takes you through the basics and then slowly builds upon the advanced concepts such as specialization, variadic templates, etc. Btw, this is is an excerpt from the course Beginning Modern C++, and if you want to learn complete modern C++, you can take a look at that as well. That's all about some of the best courses to learn C++ for free. These courses are great to start learning to programme with C++ as well as to learn C++ in depth. 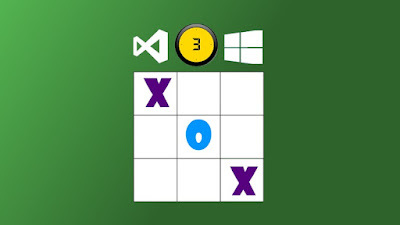 You also get a chance of learning by doing by joining courses like "Learn to program Tic Tac Toe Game in Visual C++ on Windows" which teaches you programming by building a game. That's an awesome way to learn a new programming language. Thanks for reading this article so far. If you like these free C++ programming courses then please share with your friends and colleagues. If you have any questions or feedback then please drop a comment. It has: "($11.99 Original Price$19.99 Discount40% off)".